BEND, Ore. – Central Oregon ranch owner Clare Staples said it was a miracle she was in Malibu when the Woolsey Fire broke out. The Skydog Sanctuary ranch near Bend is a 9,000-acre safe ranch for wild horses. 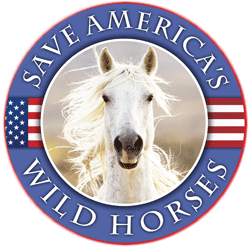 In addition to her Bend sanctuary ranch, Staples owns three ranches in California, where she rescues horses that were recovered from at-risk situations. One of those ranches has turned into a sanctuary not just for her animals, but for her family. Staples woke up to a text Friday morning, alerting her that the Woolsey Fire had jumped the freeway and was heading toward her Malibu ranch. She said when she looked outside her window, it was like something she’s never seen before in her life. “It was like a bomb had just dropped,” Staples said Monday in a Skype conversation with NewsChannel 21. “There was just so much smoke coming over the hill, it was just this plume up” towering in the sky. Staples frantically rushed to her ranch to try and save her horses. As she was rounding up all her horses, a sheriff told her she had to evacuate her property immediately. Two horses were left behind. Staples said it was complete chaos as she drove down Pacific Coast Highway. 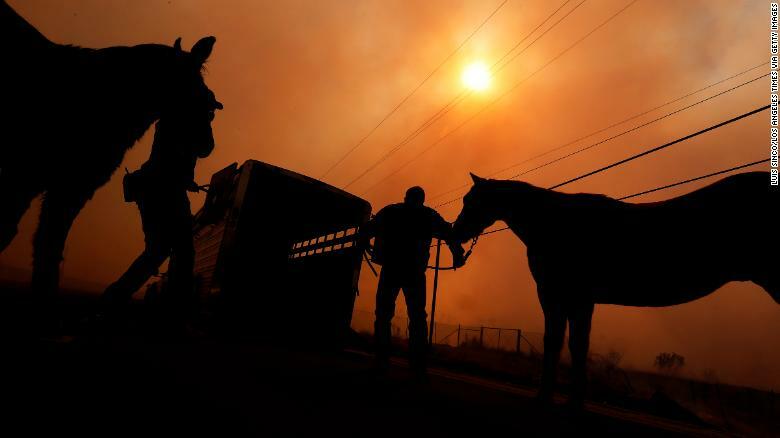 People were riding horses on the beach, while others were running from their homes to escape the flames. She dropped her caravan of horses at her ranch in Mariposa, which is more than 300 miles north of Malibu. The following day, Staples drove back down to rescue the remaining horses, praying they were still alive. She was not only able to save those horses, but other people’s animals as well. Staples said she found people’s phone numbers attached to the bottom of horses’ hooves, in hopes their horses would be found. Luckily for them, Staples was there to rescue them all. 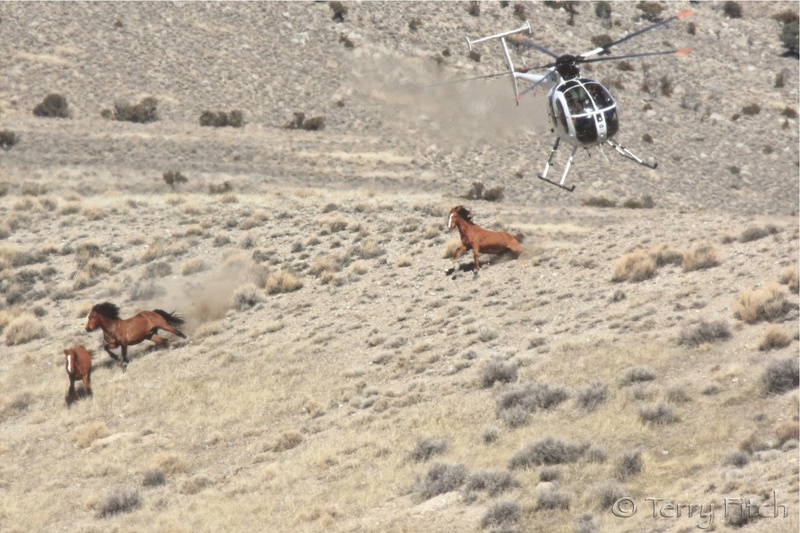 Staples said was able to save the lives of 16 horses, 10 of them her own. She had a message for Central Oregon ranch owners on how to be prepared in a similar emergency. She said in a wild horse herd, there is a lead mare who gets her horses to safety, while the band stallion stays at the back of the pack to protect from all the horses from danger. Somehow, that’s exactly how her situation has played out. 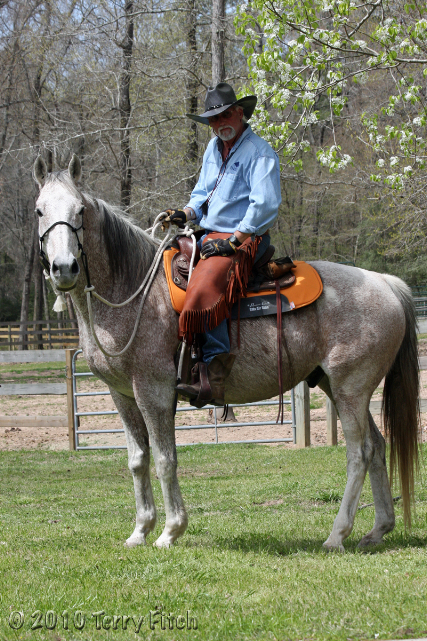 Staples saved the horses, while her husband is still in Malibu protecting the ranch. Staples said she hasn’t heard from her husband in two days, but she is hopeful he is OK.
NewsChannel 21 also spoke Monday with a Red Cross volunteer from Bend who just arrived in Northern California to help those affected by the Camp Fire. Sammons said five shelters have been set up so far. On Monday, the Red Cross was trying to get some help for the pets who’ve also evacuated the area. At last report, the Northern California Camp Fire was 25 percent contained. In Southern California, the Woolsey Fire was 20 percent contained, while the Hill Fire was 85 percent contained. To see the current numbers on all California fires, visit http://www.fire.ca.gov/current_incidents. Staples also encourages people to visit www.skydogranch.org if they want to make a donation. Clare Staples, you are an angel on earth. There isnt any other word to describe you. Thank you for your great compassion and bravery.